South African Post Office (SAPO) presented its 2015 Strategic Plan, a statement of its financial position and a description of its future activities. It was noted that it had 2 486 points of presence in SA, which covered almost all of the towns and cities across the country. It was a large coverage but some areas were costly to service. Around 66 million customers visited SAPO branches per annum. SAPO had achieved R5.69 billion in revenue with 23 820 employees. 63% of this revenue was generated from the private side, and with this increasing becoming entrepreneurial, it was possible that SAPO could suffer losses in this area if it did not manage to improve here. Some of its challenges included an inflexible operating model, lack of funding for capital projects, low morale amongst the workforce, volatile labour environment, declining mail revenue, changing customer needs, legislation, board vacancies, leadership changes and inadequate execution capability. Currently, SAPO was struggling with over R780 million in backlogged payments, serious cash flow constraints and a monopoly reserve area encroachment by private companies for the 0 -1kg packages. The good news was that SAPO Forums were working to help build back trust with unions that would hopefully heal the strike action debacle, whilst the government guarantee of R1.67 billion would cover the back payments. 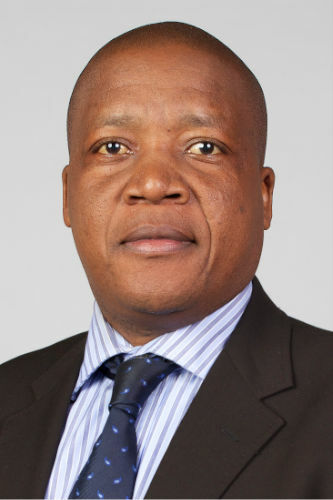 The Acting Chief Executive Officer submitted that the best way forward for SAPO was to try to reduce the reliance on the mail revenue component, by expanding into e-commerce, digitalisation and online services. The strategic plan set out a number of objectives. There would be substantial retrenchments and early retirements to try to reduce costs, and it was possible that around 5 000 employees may be affected, but SAPO was aware of the sensitivities, and this would be done in conjunction with unions. ICASA had been approached to regulate and police the encroachment areas better, to prevent loss of revenue. The Postal Services Act was undergoing amendments. SAPO would be focusing on a needs basis installation rather than a compliance based installation for setting up post offices. Finally, SAPO was gearing its services to work with departments and be more customer-focused whilst re-inventing itself into a digital and online service. The board positions and vacancies would be filled and a more streamlined organisation achieved via its strategic plan. Members suggested that Post Bank must operate as a commercial bank, questioned if the Postal Services Act required re-writing or amendment, and asked what the penalty would be if universal service obligations were not fulfilled. They asked if SAPO was being used by Parliament. They also wondered if it was able to take a part in the online shopping business. Members were interested in when Board positions would be filled, asked about security issues and asked why licensing for vehicles was not handled through post offices. They also asked for an indication of the SAA issues and why SAPO had lost other business. They asked to what extent there was buy-in from unions, if they would provide feedback, and if performance agreements were signed, as also the classes of employees likely to face retrenchment. They also questioned what steps would follow if SAPO did not manage to meet the revenue targets. They reminded SAPO that a more provincial focus was needed when presenting to this Committee. Ms Rosey Sekese, Director General, Department of Telecommunications and Postal Services, made the introductory remarks, noting that the corporate strategic plan of the South African Post Office (SAPO) had now been approved and this would be a massive milestone in moving SAPO forward. Mr Mlu Mathonsi, Acting Chief Executive Officer, SAPO, described that he had been acting in this position for ten months, and it had been an incredible learning experience, given the recent history of the organisation, the impact of the lack of services and the destructive strikes in the country. When SAPO was dysfunctional, he had fully realised just how important this entity in fact was in terms of education, medicine, business and general economic life for ordinary South Africans. Strong support from the Minister of Telecommunications and Postal Services had helped settle things in this difficult period, and his presentation looked at key focus areas and a broader overview, rather than the minute detail. The strategic plan was the main thrust of the presentation for today. SAPO had 2 486 points of presence in South Africa (SA), covering almost all of the towns and cities across the country. It was a large coverage but some areas were costly to service. Around 66 million customers visited branches each year. SAPO had achieved R5.69 billion in revenue with 23 820 employees. 63% of this revenue was generated from the private side, but he cautioned that because this was so important, it could suffer losses if SAPO did not manage to maximise its activities. There were serious cash flow constraints from operations. The books were skewed by a government grant which hid the financial crisis, which had already started in around 2010. There was a backlog of R780 million in payments, which was embarrassing as these enterprises were desperate to receive their funds. The monopoly reserve area encroachment by private companies had damaged SAPO's revenue. The rule was that any item less than 1kg was out of bounds for these companies. 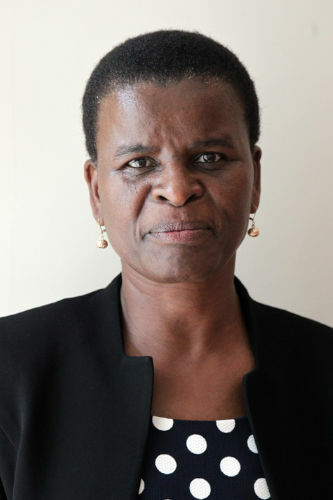 A complaint had been lodged with Independent Communications Authority of South Africa (ICASA). Speaking to the shareholder mandates and National Development Plan, he noted that SAPO had the potential to assist the country in reaching the goals of the National Development Plan. Customer service and customer interaction had been ignored for far too long, so this needed to be improved dramatically. Grow SAPO revenue levels to 50% to 55% of current revenue levels per annum. The main challenge with the Post Bank was that it had taken a lot longer to achieve the right regulation and approval from the Reserve Bank than anticipated, due to the fact that it was not private. This bank needed to be corporatised. Challenges were, firstly, the inflexible operating model. SAPO still had lack of funding for capital projects. There was still low morale amongst the workforce, and a volatile labour environment. SAPO faced declining revenue. It had saved R277 million in the restructuring process. However, it must be fully cognisant and responsive to the changing customer needs. Legislation and inadequate execution capability also had to be looked into. He noted that the reserved space of 0-1kg revenue had been declining since 2012. SAPO would have to achieve a good balance between trying to reach all the communities and generating revenue. SAPO's business model was currently immature and still required to be refined. He further added that the Post Bank did not have an online portal and internet banking capabilities as yet. Information technology deficiencies were described as "immense". The rate of growth of revenue had been lower than the growth in costs. As the profits from mail had fallen, so had the total revenues. The branch revenue was a challenge. In loss making branches, the property cost/revenue percentage was 35%, compared to 8% in the more profitable branches. The labour cost/revenue percentage of some loss making branches was as high as 119%. This could not continue. At the moment, the mail operations comprised 69% of revenue, which was a problem as mail services continued to decline. He suggested that within five years, this percentage must be decreased so that other services took over, and mail was around 50%. In summary, Mr Mathonsi outlined that the strategic plan had to concentrate firstly on growing the financial resource base. SAPO must improve productivity, increase the net revenue and decrease the costs. It had to improve the social mandate. There were three Acting posts at the moment - those of CEO, Chief Financial Officer and Chief Operations Officer. There were numerous other vacancies at top management, and this was a hindrance to moving SAPO forward. Cost-cutting exercises would involve job losses. SAPO needed to shed over 5 000 jobs and 1 000 would be moved to early retirement. The aim was also to reduce the EXCO from 15 members to eight, to make it a lean corporate structure. From the financial side, Standard Bank had approved an overdraft facility of R270 million, based on a state guarantee of R1.67 billion. This was vital as SAPO needed to be a going concern to prevent liquidation. The implementation plans would be signed off by the second week of June. SAPO would be working on the implementation plan that 30% of government business should be using SAPO, agreed upon in a recent Cabinet decision. Mr O Sefako (ANC; North West) stated that the Post Bank must be operated like a commercial bank. He wished SAPO the best as it moved forward. Ms B Masango (DA; Gauteng) queried whether the Postal Services Act required re-writing or amendment, due to the changes in this space. In compliance with the Universal Services Obligation, a number of branches had to be opened, but she enquired what the penalty would be if SAPO did not open them or keep them open. She asked if SAPO was being used by Parliament, and what percentage of the online shopping business it was managing to take up. The Chairperson asked when the board positions were going to be filled. She asked what security measures SAPO was putting in place to prevent robberies. She also enquired whether issues around SAA could be discussed. She questioned why it was not possible to pay for a vehicle license at a post office in Western Cape? Mr A Singh (ANC; KwaZulu-Natal) asked how SAPO intended paying off creditors whilst still managing to do business. In regard to the human resources, he asked if all the unions were on board and buying into the strategy, and if they would provide feedback. He wanted to know if all managers had signed the performance agreements. After employees had taken their retirement or retrenchment packages, he wondered if SAPO would still be able to run properly. Mr J Parkies (ANC; Free State) queried whether the labour discussions included the future retrenchment that was on the cards, and wanted to know if it was skilled people who were to be retired early? Mr Parkies noted that the Acting CEO wanted to change the face of SAPO. However, he questioned what the next step would be if SAPO did not manage to meet the revenue targets. Mr E Mlambo (ANC; Gauteng) asked why the process with the Reserve Bank had taken so long in 2005. He asked why negotiations with SANRAL had broken down, and how and why SAPO had lost the South Africa Social Security Agency (SASSA) account. Mr A Nyambi (ANC; Mpumalanga) commented on the vacancies and asked when these would be filled, saying that the Committee needed to be given a time frame. He also stressed that when presenting to the Select Committee, the Members wanted to hear more of a provincial slant. For instance, slide 4 should have contained province-specific details. He reiterated that the Committee was focused on representing the interests of the provinces and so any presentations made to this Committee should not merely be a repeat of the presentations to the Portfolio Committee. Mr Mathonsi responded firstly to the issues around the Post Bank. It had been a lengthy process, involving invoking section 12 and Reserve Bank input. Numerous disruptions at leadership level did not help with the delays in the process. At some point, the management team did not even have the skills to deal with it. Post Bank and SAPO needed to be separated in terms of section 12, to ensure that public funds were safe and were ring fenced from SAPO’s financial issues. This had taken time, but the process was now back on track. On the question of SANRAL, he noted that management would have to be trained as it had become apparent that there was a skills gap. He clarified that early retirement was not going to be a wholesale release of people close to retirement, but would be done on a case by case scenario, based on the skills required. SAPO had identified a skills shortage exercise, to know what kind of people it needed, and who could be retired at this point. In relation to reaching revenue targets, he noted that there would be a diversification of revenues, including electronic bill payments and technology growth, to make sure that SAPO was not too dependent on one source of revenue, as it was at the moment, being too dependent on the declining mail revenue. The mindset of the organisation would need a revamp. A slide on vacancies would be provided. It was difficult to get quality calibre people at the moment, due to the tarnished reputation of SAPO. The funding from Government would go to clearing all the outstanding creditors. He said that he would provide the feedback from the consultations with the unions, in writing. The performance indicators needed to be aligned with the Strategic Plan, SAPO was in the process of finalising this, and it would be completed by the end of June. SAPO was developing a value adding service with other departments. E-commerce and digitisation were the legacies that he wanted to leave for SAPO. He indicated that written reports on the SASSA court case would be provided. A sum of R50 million had been set aside for the judgment ruling. On the SAA saga, there were a number of errors made on SAA’s side, but SAPO was not in any "bad books" with SAA, and the Chief Executive Officer had requested that if any problems arose in future, SAA should approach SAPO first rather than going to the media. Mr Andrew Nongogo, Acting Group Executive: Mail Business, SAPO, replied that the forums were working well. The Unions were there to protect their workers, so it was not going to be easy retrenching or retiring people, but SAPO management was confident that this could be done amicably. The Minister had stepped in to create these forums and the Commission for Conciliation, Mediation and Arbitration (CCMA) was also brought in to help with the process. The Postal Services Act was signed in 1998. A policy review had been established, and a White Paper was developed. The retail targets should be developed on a “need” basis and not just on a compliance basis. Mr Nongogo explained that there could be penalties of up to R10 million for missing Universal Service Obligation targets. There had been some leniency shown, and SAPO and ICASA had been renegotiating on the targets, due to the issues at SAPO. The Acting Chief Executive Officer would shortly be going out on a road show, to explain the strategic plan to employees,and there was readiness and willingness to implement this. There was a Parliamentary post office but it was not generating a large amount of revenue, particularly as the Parliament currently used other services. Parcels were vital to sustain the SAPO in the internet arena. Security had been put in place to protect employees and infrastructure. The SAPO had up to 4 000 trucks to protect and was working with SAPS in this regard. The licensing was a provincial government issue, but the Western Cape government had not helped as there were issues around the location of revenue. Ms Sekese agreed that the Postal Services Act needed effective regulation, to protect SAPO for the 0-1kg mail section. She noted that there had not been complete happiness with the calibre of people applying to sit on the Board which explained the reasons for the delay. Subsequent to this, however, a further 70 nominations were being considered, and from these applicants it should be possible to get the mix of IT, finance and business skills required. Appointments to the posts presently filled by Acting incumbents should be finalised soon.